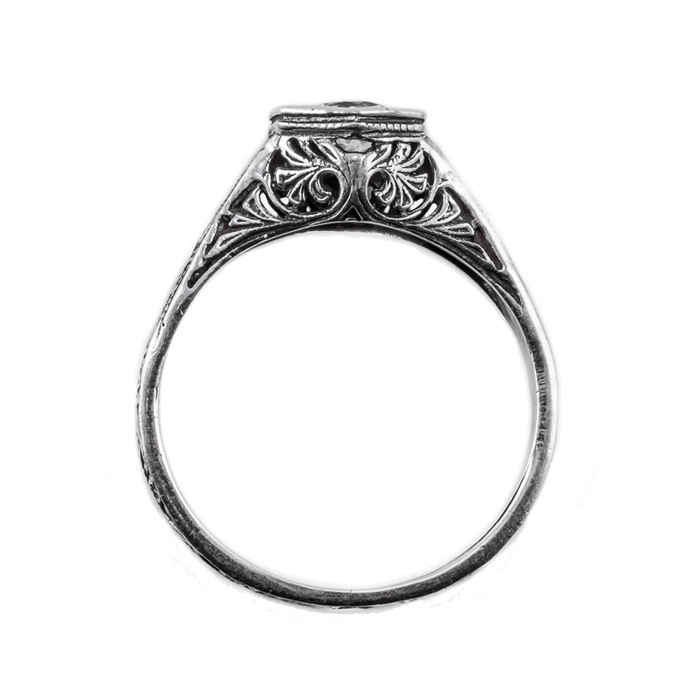 When you see the effortless beauty of this antique style ring, handcrafted by the jewelry experts of Apples of Gold, you will be amazed. The floral and ribbon touches in the sterling silver band create a show stopping setting for the flawless emerald gemstone. Measures 4.5mm and can be shipped to you today. 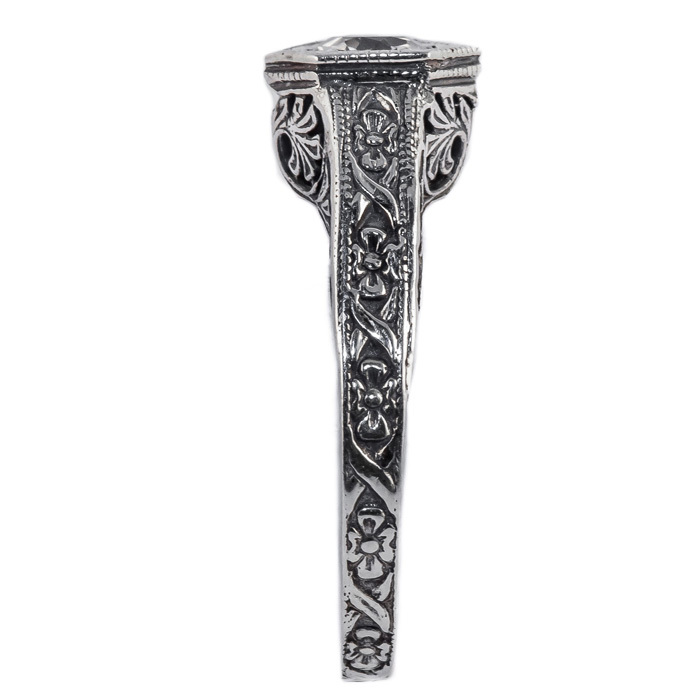 Imagine the delight of your loved one as they open their mail and see this vintage treasure. This emerald and sterling silver ring makes a unique gift idea. 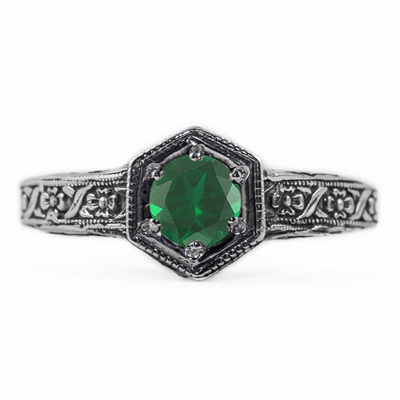 We guarantee our Floral Ribbon Design Vintage Style Emerald Ring in Sterling Silver to be high quality, authentic jewelry, as described above.